Communion. 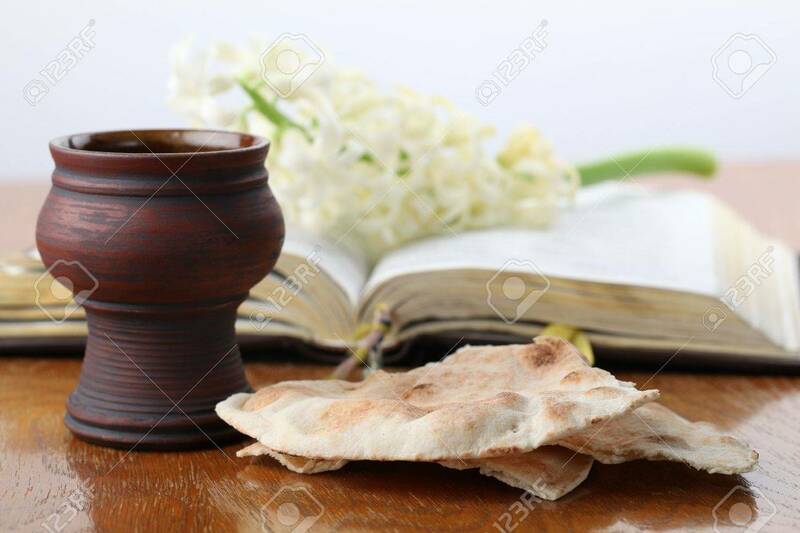 Chalice With Red Wine, Pita Bread, Holy Bible And.. Stock Photo, Picture And Royalty Free Image. Image 12588106.